The case of Caterham (née Lotus) demonstrates vivdily that F1 is difficult. Of course, this is exactly how it should be at the sport's pinnacle. But it also might not always be much compensation to those at Caterham as they struggle to extract themselves from the group of 'new' teams at the back and get themselves into the midfield battle. Three teams made their debuts in F1 in 2010, part of the brave new resource restricted, post-manufacturer, F1 world. Each were the first non-manufacturer backed teams to start from scratch in the sport since 1997, and it's showed as, over the subsequent two years, they've almost always run a distance behind the established cars. But of these Caterham/Lotus have definitely stood distinct. Despite only existing as a telephone in a room months before their 2010 debut, they have been by far the most convincing of the three. Caterham have been doing all the right things in their quest to move up the order, and in many ways are world away from Virgin/Marussia and HRT, who entered F1 at the same time as they. They have their own factory, everything's under one roof (and this year they plan to move to Leafield, in F1's 'silicon valley'), they have their own design office and aero programme, they have the same engine and gearbox as the champion constructor (which dictates a similar rear end of the car as them), their number of staff (around 250) is creeping up on the sort of numbers as at the midfield teams, they have fine brains in the likes of Mike Gascoyne and Mark Smith (among others), and they now share wind tunnel time with Williams. And all of this is backed by a substantial budget and investment provided by Tony Fernandes. In 2011 they stretched their advantage over the 'other two', usually lapping somewhere in the region of 1.5 to 2 seconds faster. But, at the same time, the midfield pack remained significantly and maddeningly beyond their reach. F1 is difficult, as I said. And perhaps Lotus/Caterham haven't always done themselves favours in might be loosely termed as 'managing expectations'. In business it is often said you should under promise and over deliver. I wouldn't accuse Caterham in their guises of having under delivered, but they have perhaps been guilty of over promising: often stating their aim of joining the midfield pronto when it is in fact a long way off. And this is where they are at the outset of 2012. Both Fernandes and Gascoyne are on record saying that getting among the midfield this year is the bare minimum, anything less will represent failure. Indeed, Fernandes in the middle of last season went so far to say that he'd step down if it wasn't achieved, saying: 'Next year, if we don't get into Q2 then I will have to step down because money will not have been well-spent'. So, how do things stand for Caterham heading into the season? Well, as is usually the case it's very hard to tell. The CT01 looks more svelte than its predecessors, and the team have looked for the most part business-like as they've incorporated a KERS system and run through their test programme. 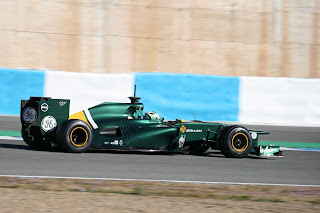 And compare this to the other two 'new' outfits, whose 2012 cars didn't trouble any of the pre-season tests at all. And the noises coming from the team are full of optimism that this will indeed be the year of their step-up. But the problem is that the pre-season testing stopwatch isn't screaming the same thing. And it's worth reflecting that, for all of the team's progress over its existence, the gap to the midfield remains a big one. Gascoyne has said that much of the gap in 2011 was accounted for by KERS (which they didn't have) and the exhaust blown diffuser (which they never got working). But even when you factor in the theoretical advantage of KERS they were upwards of one second a lap off the back of the midfield last year, and finding that over and above them isn't the work of a moment. Especially given that all of the midfield teams appear to have had a positive pre-season and are cautiously optimistic about their new machines, so are a moving target. Let's hope that Tony Fernandes's patience isn't as short as his public pronouncements suggest it is. There is a pulse at Caterham, and with further nurturing they'll be respectable F1 midfield competitors. The last thing they need is for the money life support to be cut off because their progress up the grid isn't as timely as hoped. 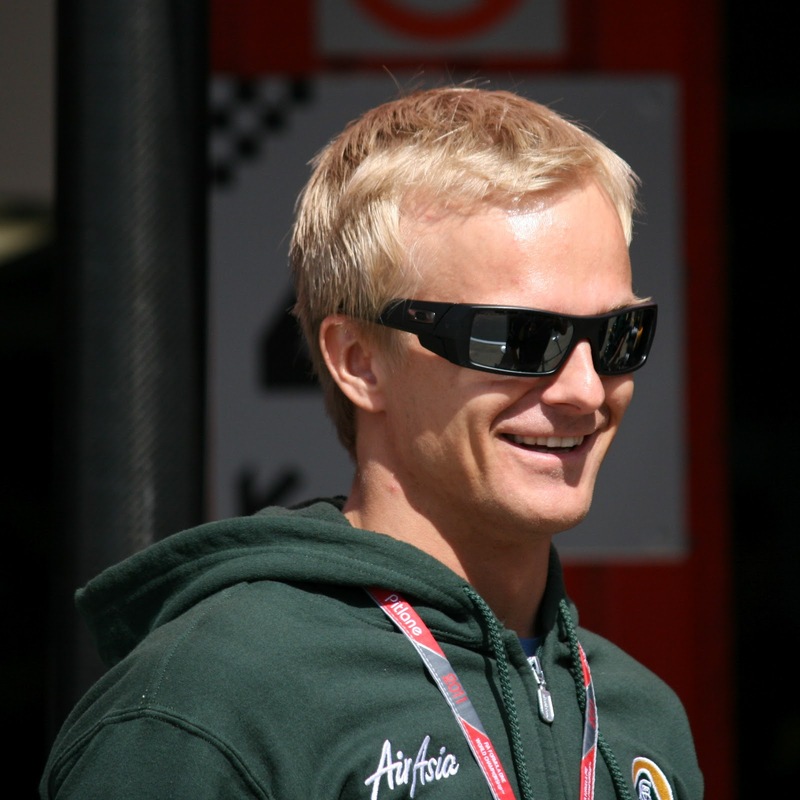 Heikki Kovalainen's experiences over the past two years show that it's almost always possible to distinguish yourself in F1, even if given access to uncompetitive machinery. He surfaced at what was then Lotus two years ago, washed up it seemed after being discarded by McLaren following an unconvincing time there. But in his new abode he has successfully re-built his reputation, and you'd imagine many teams further up the grid must be watching him closely with a view to adding him to their own driver line up. Kovalainen was especially impressive last year, and few on the grid can be said to have outperformed him in terms of doing the best job with their available machinery. He did everything that could have been expected of him with a car that was never on the pace of the midfield runners. Kovalainen made midfield cameos whenever he could, such as qualifying ahead of the Force Indias in Spain and ahead of the Toro Rossos at Silverstone, as well as beating Perez and Maldonado to the line in China. His battling qualities were also not in question - shown by his net gain of 22 places on the first lap of races (a total beaten only by Michael Schumacher). The only area of caution, which isn't Heikki's fault, is that ultimately it was hard to judge Kovalainen's 2011 performance precisely, because he existed in a competitive vacuum - far behind the midfield but far ahead of the Virgins and HRTs. This meant that the only yardstick for him was team mate Jarno Trulli whose performance was questionable due to being spooked by the car's power steering. 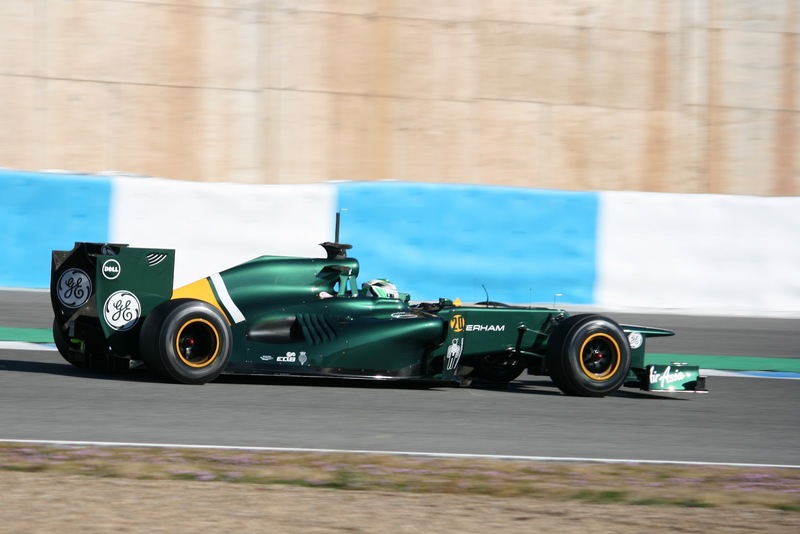 Still, with a new stable mate in Vitaly Petrov and assuming his Caterham is closer to the midfield pack, Kovalainen should have more opportunities to impress observers in 2012. 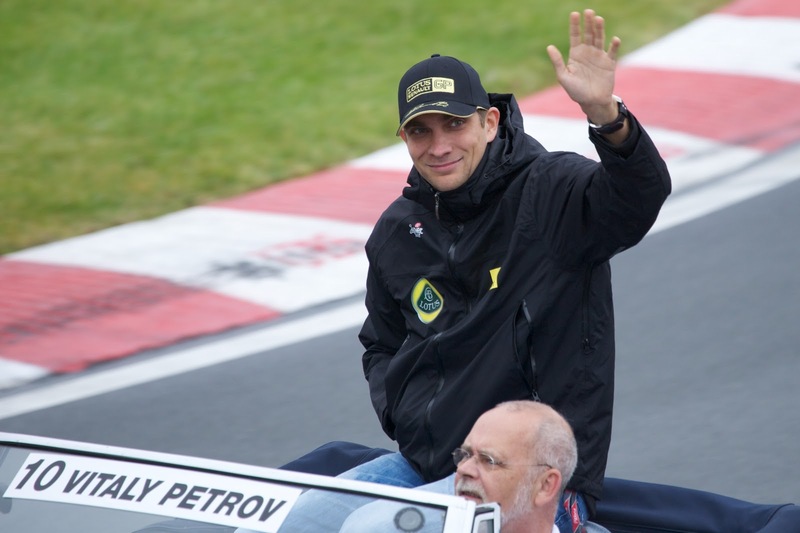 Vitaly Petrov to Caterham was the final move of the 2012 drivers' transfer market. The Renault refugee sealed the deal at the eleventh hour, after pre-season testing had started, to claim the race drive in the stead of Italian veteran Jarno Trulli. It wasn't all down to skill though, the team were open that his Russian money on stream was an important factor in the decision. This will be Petrov's third year in the sport, and in that time he's shown that he's a competent and respectable F1 performer, if probably not a potential world-beater. He's quick and brave, but on the other hand has never been able to quell the too-frequent mistakes and crashes in his repertoire. That was Petrov's story for much of 2010, though he did show a bit of on upturn towards the end of the year, finishing fifth at Hungary and then, infamously, holding off Alonso for 40 laps in Abu Dhabi in the final round. That he then followed this up with a third place in the opening 2011 round in Melbourne led to some believing he had found a new maturity. But crashing returned to his repertoire at the very next race, with a famous flight in Malaysia which put him out. And the mistakes continued to pepper his season: his ride over the back of Michael Schumacher's Mercedes at Korea, watching Fernando Alonso too much, was memorable and there were also off track excursions at Abu Dhabi and Spa, while mistakes in India probably cost him points. Nevertheless, Petrov was clearly a more substantial performer in 2011 than in 2010, his drives at Spa and Suzuka into points were good and he came home fifth in Canada after staying out of trouble. There didn't seem to be a damning case for his removal by Renault, but that's exactly what happened; team principal Eric Boullier's enthusiasm for Petrov was clearly well under control and the relationship between them never seemed especially harmonious. A frustrated public rant about the team by Petrov after the Abu Dhabi race didn't help his cause, but I reckon that Russian money not being quite on stream at the rate that the team wanted is what sealed his fate. But all is not yet lost. He, somewhat against expectations, has a chance to continue in the sport in 2012 at Caterham. Petrov looks comfortable in his new environment, and while Heikki Kovalainen is of course a challenging driver to be compared against this presents Petrov with a clear opportunity. If he can get on terms, or even beat, his team mate, and minimise the errors while he's at it, it'll do his reputation a load of good.